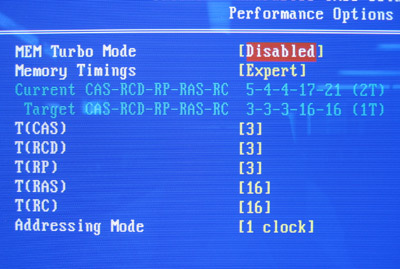 DDR2 memory timing adjustments are just as boring as regular DDR timings options, we have the usual CAS latency setting, RAS to CAS Delay and Row Precharge. 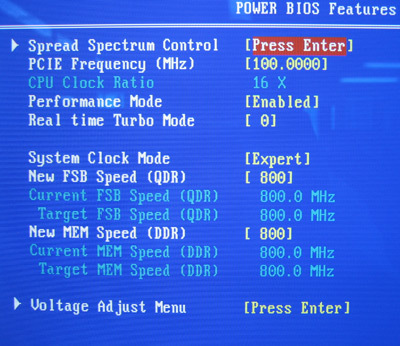 In the PowerBIOS section is where the overclocking magic happens. PCI Express frequency can be increased for stability's sake that is best left alone. FSB can be tuned from 600-1300 MHz (150-325 MHz FSB) and memory can be tuned from 400-900 MHz both in 1 MHz increments. 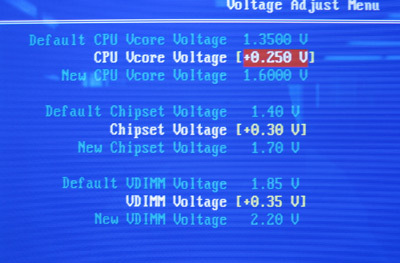 In the voltage Adjustment Menu we find the CPU chipset and memory voltage options.